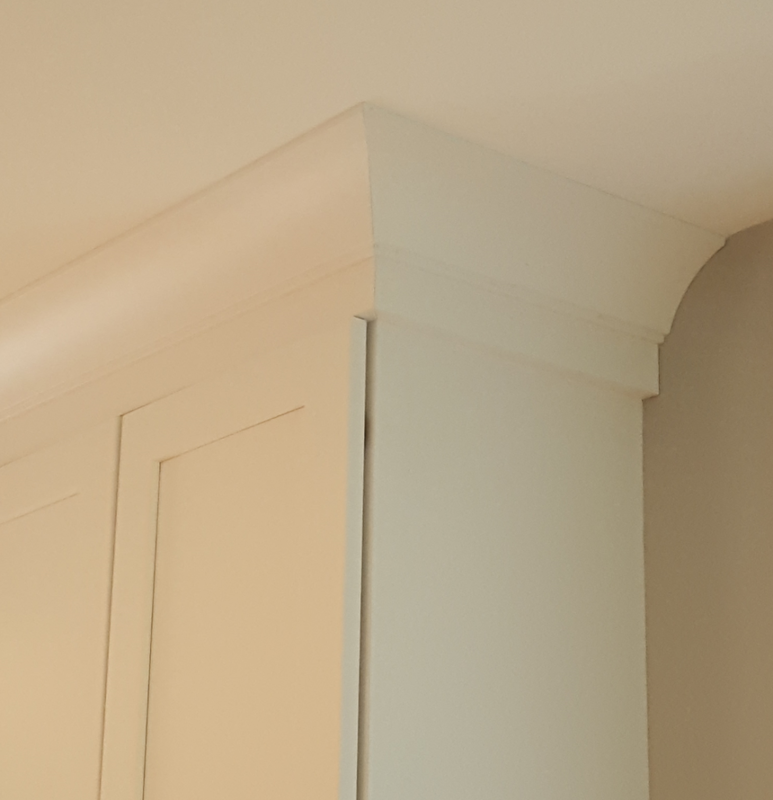 Often customers like the idea of installing wall cabinets, then crown molding that touches the ceiling. CLICK HERE for an example photo of this. In most cases, fascia material is necessary. CLICK HERE to see what fascia material is. 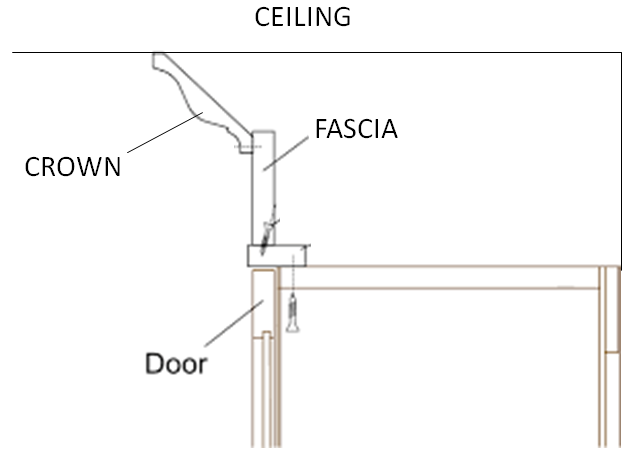 The fascia material is secured with screws or finish bards to the top of the wall cabinets. Then crown molding is brad nailed to the fascia. See post on "ceilings that are not level and crown molding". There are two common ways to install fascia with crown. One I call "lap fascia"... Were the fascia is installed on the side of a wall cabinet face frame. CLICK HERE to learn what is meant by a face frame. CLICK HERE for another post regarding face frame vs. frame-less cabinetry. The second option is what I call a "flush fascia"... Were the fascia sits on top of a wall cabinet face frame. Check out the images below. The "lap fascia" option takes more time to install. For the average kitchen install there is about a $300 to $400 up-charge for doing a "lap fascia" installation. The differences are subtle. CLICK HERE to watch a video of a kitchen that has a "flush fascia". CLICK HERE to watch a video of a kitchen that has a "lap fascia". Let your kitchen design know what you like.